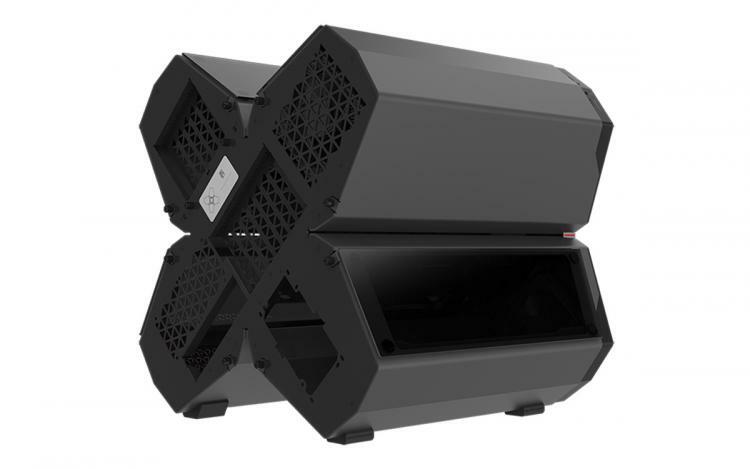 DEEPCOOL first showcased the QUADSTELLAR Smart Case during the CES 2017 convention featuring a quad-chamber layout which are four independent compartments that aim to achieve maximum cooling efficiency. 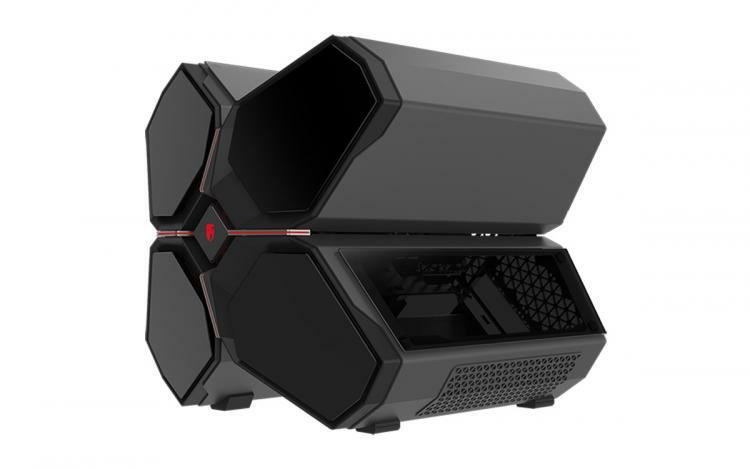 The QUADSTELLAR can house up to an Extended-ATX form-factor motherboard, multiple graphics cards and massive storage drive bay that can house up to eight 3.5-inch hard drives and two 2.5-inch drives with additional three hidden 2.5-inch drive bays in other locations of the chassis. 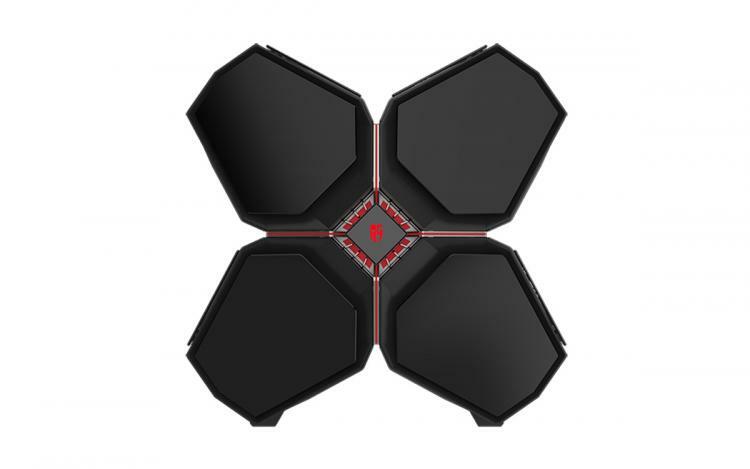 The QUADSTELLAR also features tempered glass panels and customizable RGB lighting that supports Addressable RGB Sync applications such as ASUS AURA SYNC. This massive chassis has a net weight of 14.5 kilograms. 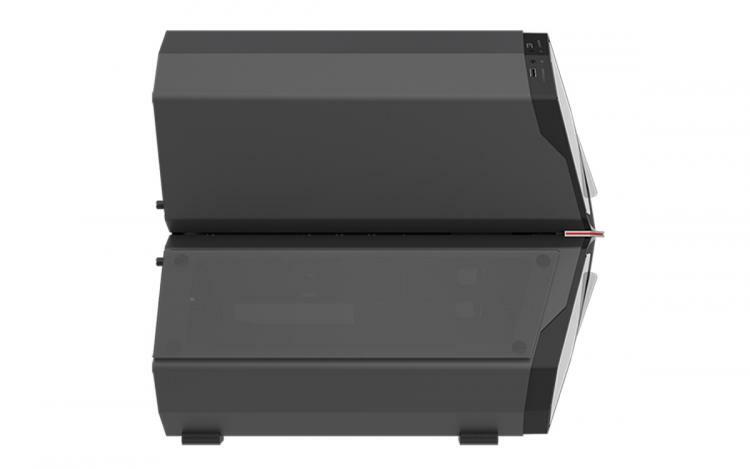 Independent Compartment Cooling – The QUADSTELLAR’s layout eliminates inter-compartment heat dissipation and maximizes cooling efficiency per compartment which houses a particular set of hardware. Has magnet mounted fan filters in front of each compartment, novel triangular vents in front and rear panels offering a straight-pass air ventilation design. 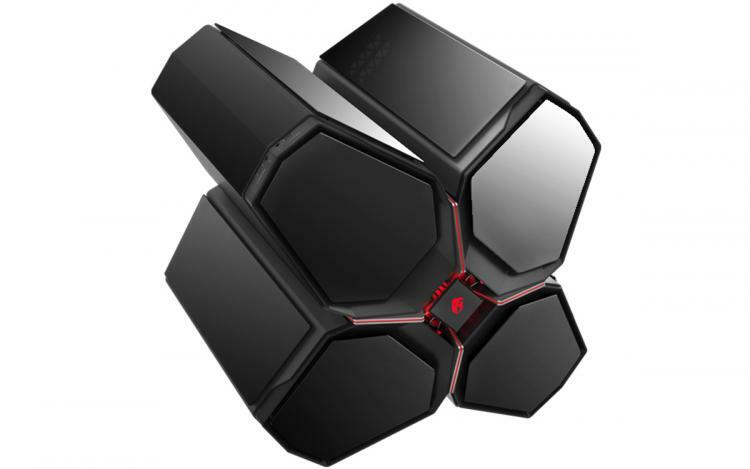 Gaming Aesthetics – The QUADSTELLAR’s four front panels are blackout tempered glass panels giving it a classy look. Side panels are also tempered glass panels. The front-centre also features RGB lighting that’s customizable and supports Addressable RGB Sync applications including the ASUS AURA SYNC. Feature-Packed App – The chassis comes with its own app for lighting management, heat dissipation and active thermal control components. Through the app, users can customize RGB lighting, tweak fan control settings and advanced temperature control per compartment. Massive Drive Bay – The DEEPCOOL QUADSTELLAR chassis can accommodate up to eight 3.5-inch and two 2.5-inch drive bays (with additional 3 x 2.5-inch bays in the case) and provides a huge capacity for storage of games or data. Multi-GPU Compartment – The case has a dedicated compartment for graphics cards that can support up to a 4-way SLI configuration.